New York City has buildings and structures representing the panoply of architectural typologies. Skyscrapers, grand rail stations, libraries, municipal buildings, and other edifices of the modern metropolis blanket the city at a scale and quantity that seems almost unimaginable. 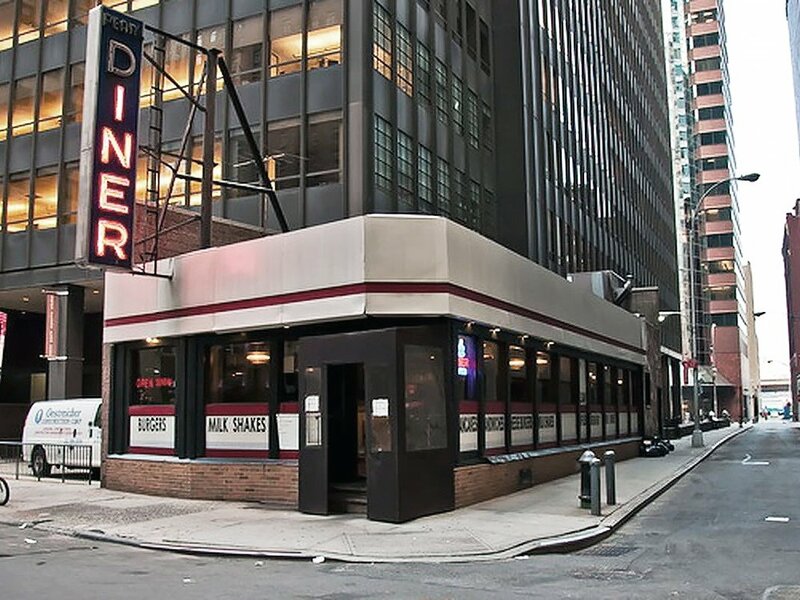 Nestled among the skyscrapers and canyons of Manhattan was a humbler structure…the diner. The diner can trace its lineage back to Providence, Rhode Island in the 1870’s, starting with lunch carts and horse drawn lunch wagons. These lunch wagons became so popular throughout New England that soon builders were prefabricating mobile lunch cars as turn-key businesses. They needed to be transportable, so they were built to fit on roads, through tunnels, and over bridges. Their small size and long narrow shape made the lunch cars ideal for small slivers of land otherwise unsuitable as building lots. They were trucked to the site and installed in a matter of hours. The diner predated the prefabricated modular trend that is popular today. Due to their similar shape and size, decommissioned trolleys and rail cars were often converted for service as lunch cars. By the 1920’s the proliferation of automobiles, streamlined trains, and modernist design trends influenced diner manufactures. The use of modern materials, such as stainless steel, porcelain enamel metal panels, glass block, tile, and formica, ushered in the recognizable hallmarks of classic diner design. Although there were several distinct styles of diners related to the era they were built, including art deco, streamline, and mid-century modern, it’s the gleaming 1950’s stainless steel diner that is one of the most recognizable symbols of a truly American design aesthetic. In a not too distant past, New York diners catered to the working class, offering comfort food at a reasonable price. They were generally located in proximity to factories, garages, shipping hubs, and the working waterfront. This icon of Americana was once so ubiquitous that it has been taken for granted. But as we know, especially in New York, nothing lasts forever. Scores of diners that once dotted the map of New York have been succumbing to the forces of the real estate market. These small restaurants cannot generate the revenue that supports the value of the land they occupy and have been disappearing from not only the streetscape, but also from our collective consciousness. Residential and commercial developments have consumed every sliver of land available leaving only a few freestanding diners left in Manhattan. Although there is still a sprinkling of diners spread throughout the other boroughs, they too are under the pressure of rampant development. 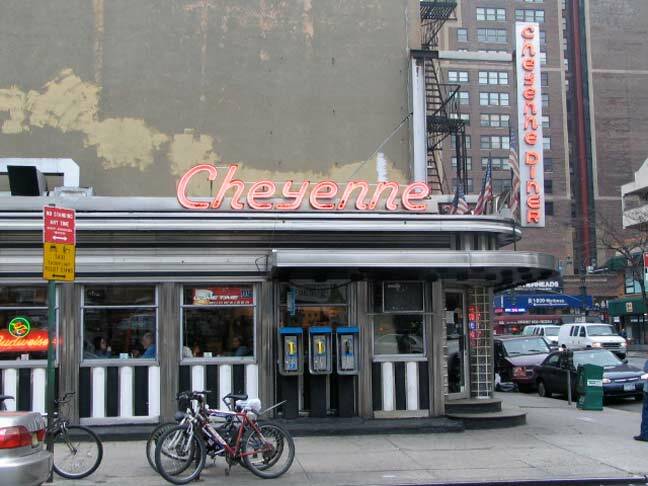 I have compiled a list of Manhattan diners past and present. This list is in no particular order and dates back no more than twenty or so years ago, so I’m sure there are some I may have missed. Featured in the Martin Scorcese film After Hours. Featured in the film Men in Black - Still in operation today. Closed 2008 - Moved to Birmingham Alabama. After remodel in the 1980’s. Featured in episodes of Law and Order and NYPD Blue. An unusual diner in that it is triangular - Still in operation today. This little diner was wedged between two buildings. The entire site was cleared for a new residential development. Closed 2015 - A residential building now occupies the site. 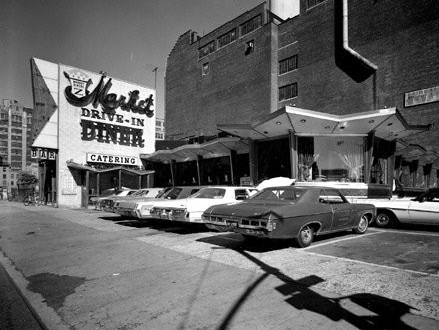 This was one of the few mid-century modern diners in Manhattan. It was reported that it was a favorite of Frank Sinatra. This diner served Cuban-Chinese cuisine. Remodeled - Still in operation today. Closed 2003 for the expansion of Columbia University. The University was to preserve the diner and relocate it. Remodeled - Still in operation today as Star on 18th. A residential building now occupies the site. The experience of eating in a real diner is becoming a thing of the past. Sitting at the counter elbow to elbow with fellow patrons, on a swiveling stool bolted to the floor…it’s one of the few places you can feel comfortable eating alone or sitting in a booth being served by waitresses in uniforms speaking their own diner language. BTW “whiskey down” is diner lingo for rye toast. While there are urban diner style restaurants, only a classic manufactured freestanding diner, is a true diner. If you have the opportunity to eat at one of these remaining diners, take it before they’re all gone.